By a whooping 94% of the votes, the winner for the favorite Vitamin Food Guide is…. the Rainbow Vitamin Food Guide! Thank you to everyone you voted! 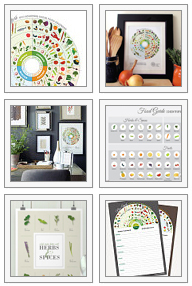 If your interested in getting your very own Vitamin Food Guide, visit JHD on Etsy or at JessicaHaasDesigns.com. Enjoy eating your vitamins! This entry was posted in Educate, february, Graphic Design, Infographic, Jessica Haas Designs' Work, Promo and tagged best vitamin chart, best vitamin guide, best vitamin infographic, eat what fruit for vitamin, eat your vitamins, eat your vitamins guide, favorite food guide, favorite vitamin chart, favorite vitamin guide, food guide design, rainbow vitamins, the best vitamin food guide, vitamin guide, vitamin wheel, what vitamins with what foods. Bookmark the permalink.